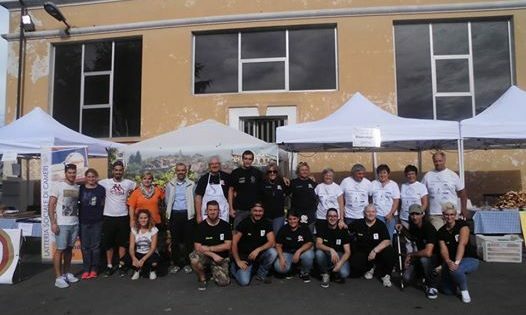 On Sunday 3 July 2016, the first part of the cycle “Incontri al castello” (Meetings at the castle) will come to an end. This year, the halls of castle Buronzo saw a number of interesting cultural events unfold, focusing on specific aspects of the history of the consortium complex and the area that surrounds it. 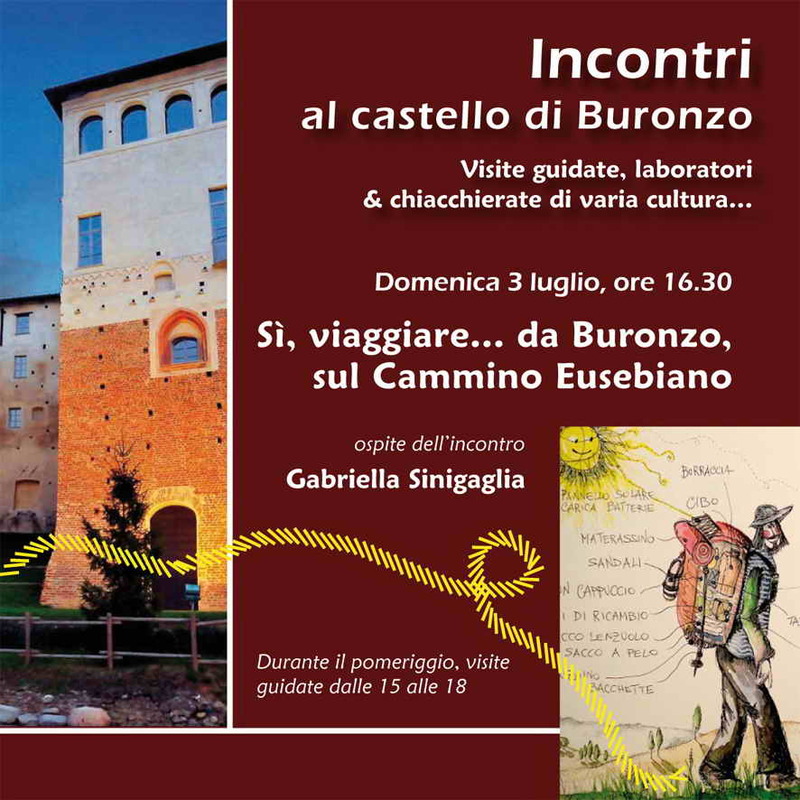 The conclusion, now in the middle of summer, is significantly linked to the theme of travel, referring back to Buronzo’s historical role as a point of transit point and meeting between the Alps and the plain of Vercelli. 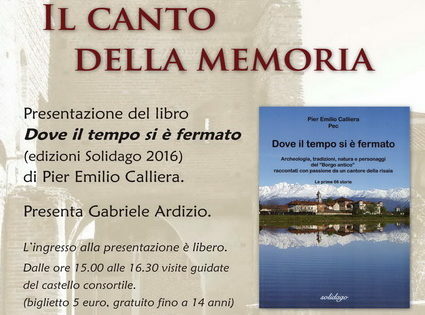 The themed guided tour led by Gabriele Ardizio will start at 16:30, exploring some little-known aspects of the almost forgotten story of ancient resting places right near Buronzo that have accommodated travellers and pilgrims since the Middle Ages. 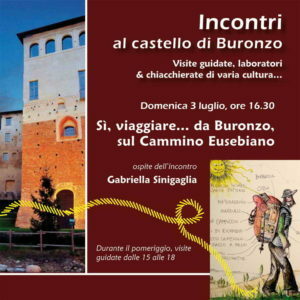 In this framework, guided by the voice of Gabriella Sinigaglia, coordinator of the Cammino Eusebiano project and host of “Incontri al Castello”, visitors can learn about the unique details of an artistic and religious route following in the footsteps of bishop Eusebio, passing through Oropa and Vercelli to get to the heart of Baraggia. 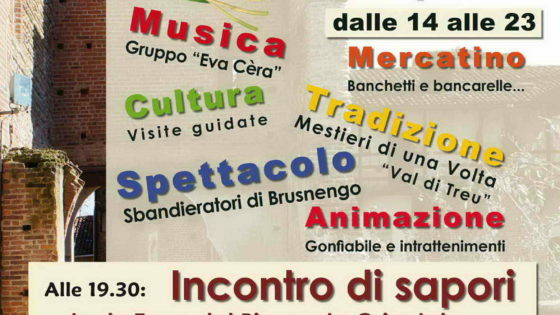 This is a project with truly European scope, which could become the engine for the cultural and touristic growth of our lands at the foot of the Alps, forging connections between the evocative historic places throughout the high plains of Vercelli and Biella.